Chestnut flour is made from chestnuts and is one of my favorite flours for baking due to its sweetness and strong hold (especially in comparison to other nut flours like almond). Chestnuts are edible nuts from the beech family and are native to the Northern Hemisphere. 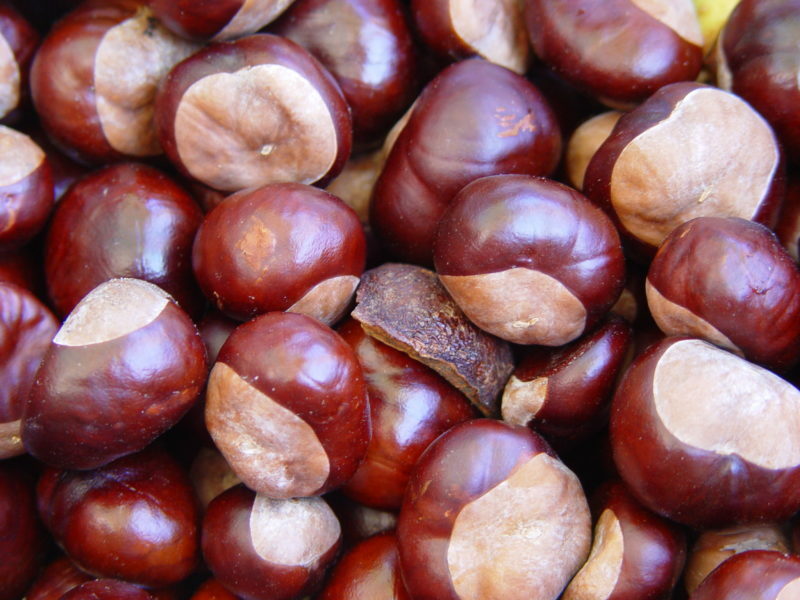 They are a good source of vitamins B1, B6, and B9 as well as vitamin C. Before consumption, chestnuts are roasted. Chestnuts have been ground into flour to make traditional goods for some time. Some of my favorite recipes that include chestnuts are my Lemon “Cheese” Cake, Strawberry Mini-Spongecakes, and Pumpkin Pie Coffee Cake. Chestnut flour is conveniently available on Amazon.com.